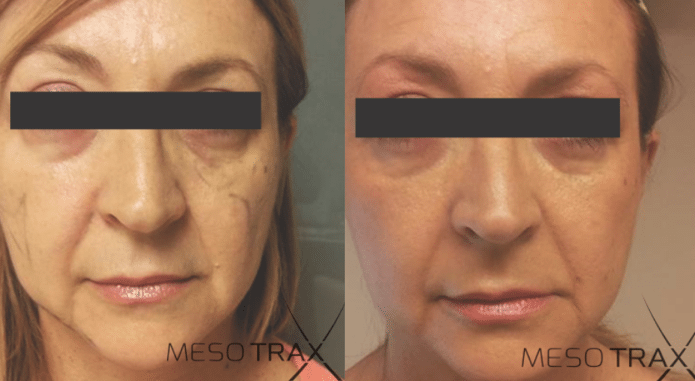 With the Mesotrax PDO Thread Lift, you can benefit from the latest and safest non-surgical method for 3D facial lifting. The Mesotrax PDO thread lift remedies descended soft tissue in the central face, eliminating prominent and visible nose-to-mouth lines and lifting the face. Jowls and loss of definition in the jaw and cheek areas are often improved dramatically with the Mesotrax PDO thread lift procedure. As a minimally-invasive procedure, it's the perfect choice for those who have tried both radio frequency and hyaluronic acid fillers in the past, yet still desire to eliminate any remaining skin laxity. 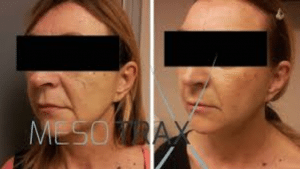 Until now, the only solution to sagging skin was a surgical face lift, yet the advent of PDO thread lifting with hypoallergenic Mesotrax suture suspension threads gives much faster results with no pain, scars nor prolonged downtime. The duration of the Mesotrax PDO thread lift treatment depends on the amount of thread which needs to be applied under the skin. This varies from person to person, depending on the quality of the skin and the amount of lax tissue present. The treatment itself is not painful, and our experienced pracitioners will apply numbing cream to the area beforehand. The use of dental block may also be required; there might be some pain and discomfort associated with this. You may be slightly swollen for up to 48 hours after your Mesotrax PDO Thread Lift, but may return to daily activities immediately afterwards. 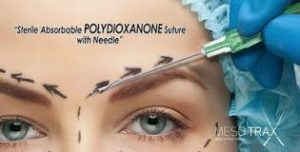 Meso thread lifts use sutures that reabsorb. This gives the face a naturally rejuvenated look without the need for surgery. 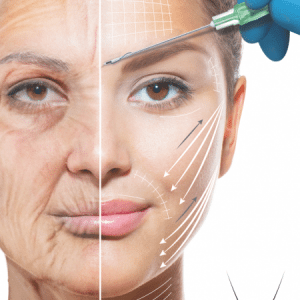 For optimum results, we recommend an anti-ageing home care programme using bea Skin Care products. Complimentary professional treatments to address skin tone and texture may also be recommended. The Mesotrax PDO Thread Lift will last for several years. As the anchoring thread is fully absorbable, it will be left in place; your body will produce collagen around the area, giving your face a permanent lift.